More than 100 million American adults are currently living with diabetes or prediabetes. At Somerset Family Medicine SFM, Neil Jaddou MD helps his patients manage their diabetes and maintain healthy blood sugar levels. His practice offers convenient locations in both Troy and Sterling Heights, Michigan. 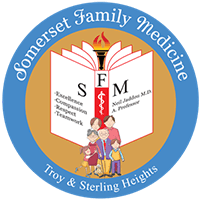 The Somerset Family Medicine SFM team provides comprehensive, accessible medical care for the entire family. If you are looking for expert help managing your diabetes, call Somerset Family Medicine SFM today or schedule an appointment online. Diabetes is a chronic disease that affects your body's ability to create or use insulin. The human body normally uses a hormone called insulin to break down the glucose in the foods you eat. But if your body doesn't produce enough insulin, glucose can build up in your blood. Too much glucose causes high blood sugar. Over time, this can damage your organs and lead to serious complications. In some cases, diabetes can even be fatal. Prompt medical care can help you control your diabetes and enjoy a long, healthy life. Symptoms can vary depending on which type of diabetes you have. Type 1 diabetes usually appears during childhood or adolescence. This type of diabetes may result from genetic factors or autoimmune disorders. If you have Type 1 diabetes, your body doesn't produce insulin because your immune system destroys the cells that create insulin. Type 2 diabetes often develops during adulthood. It's often linked to poor diet, obesity, or other lifestyle factors. If you have Type 2 diabetes, your body may still produce insulin but doesn't use it well. Gestational diabetes develops during pregnancy and may be a temporary condition. It often resolves on its own after delivery. But women who develop gestational diabetes may be at a higher risk for Type 2 diabetes later in life. Gestational diabetes can also increase your risk of pregnancy-related complications. There is no cure for Type 1 diabetes. If you have this type of diabetes, you will need to take insulin for the rest of your life. You'll also need to track your diet and check your glucose levels on a regular basis. Type 1 diabetes can life-threatening. But Dr. Jaddou and his team can help you learn to manage your diabetes and avoid complications. If you have Type 2 diabetes, you might not need to take insulin. Type 2 diabetes can be treated with lifestyle changes, while other cases require medication. 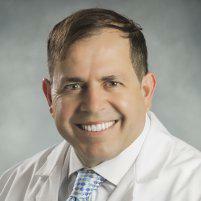 Dr. Jaddou helps you choose the treatment that's right for you. If you’re looking for expert help managing your diabetes, call Somerset Family Medicine SFM or schedule an appointment online.